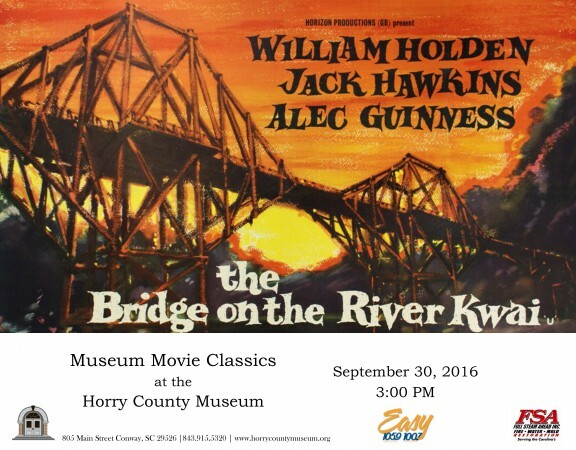 The Traditional Music Demonstration at the L.W. 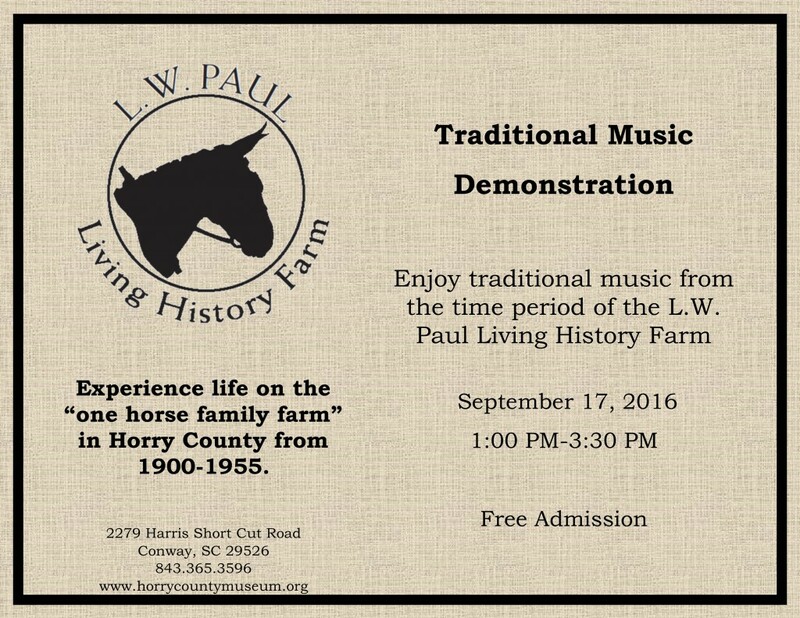 Paul Living History Farm scheduled for September 17th has been cancelled and will take place at a later date. 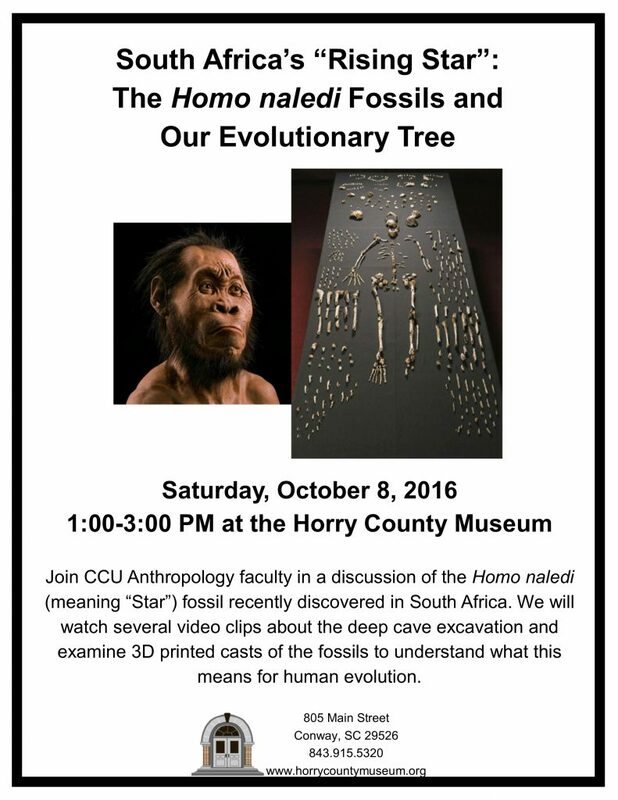 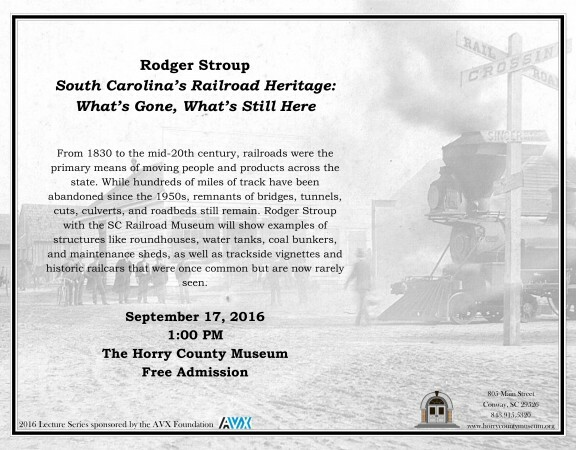 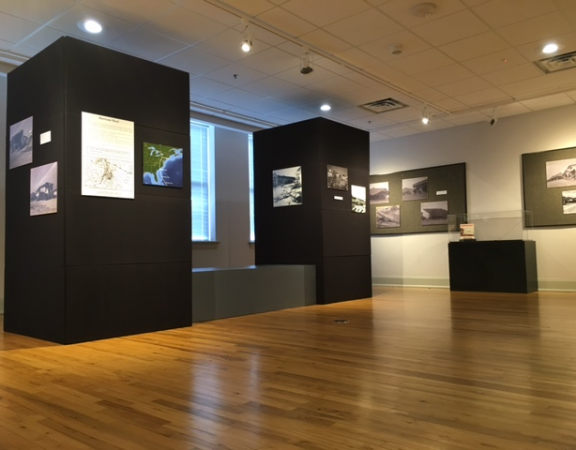 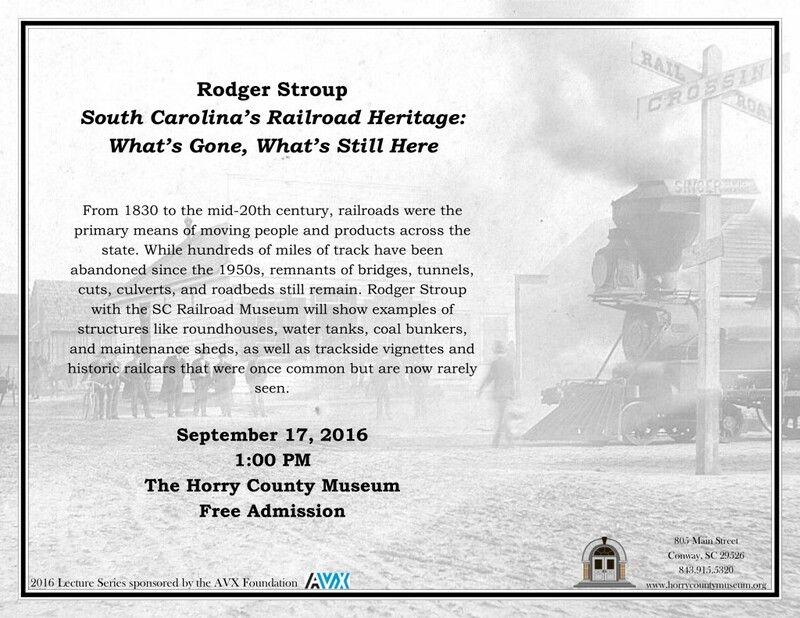 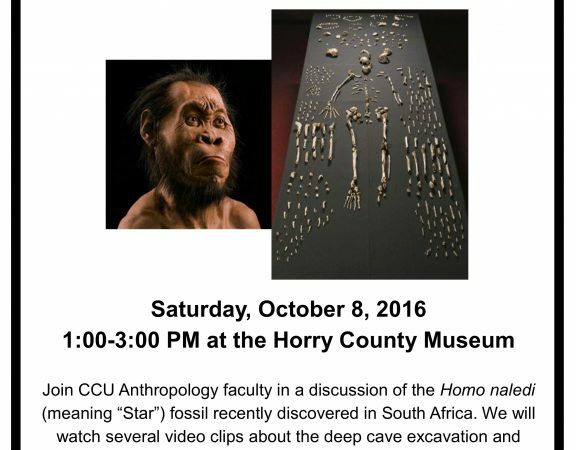 Please visit our website at www.horrycountymuseum.org for a full list of programs at the Museum and L.W. 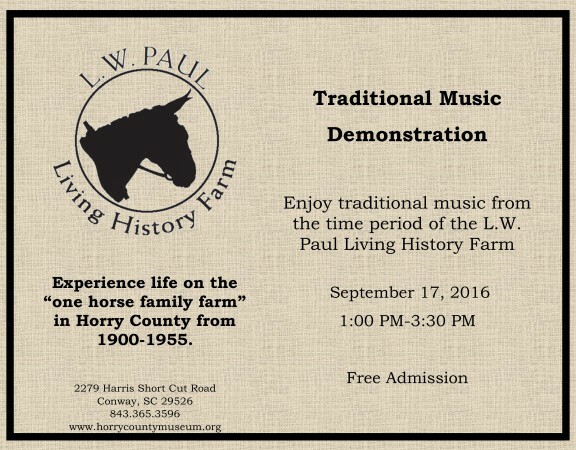 Paul Living History Farm throughout the year.